What Day Of The Week Is June 23? 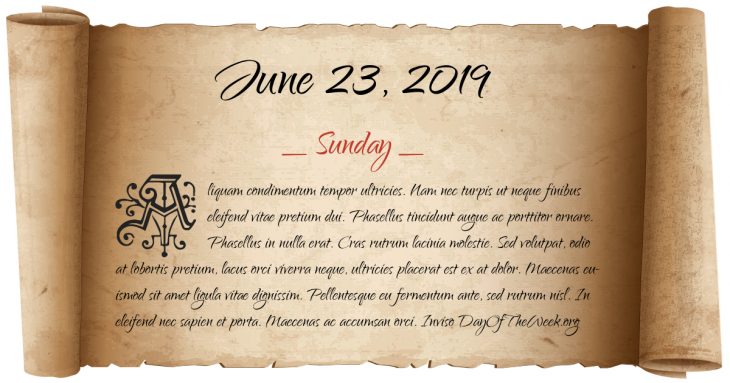 June 23, 2019 is the 174th day of the year 2019 in the Gregorian calendar. There are 191 days remaining until the end of the year. The day of the week is Sunday. Battle of Plassey – 3,000 British troops under Robert Clive defeat a 50,000 strong Indian army under Siraj Ud Daulah at Plassey. Seven Years’ War: Battle of Krefeld – British forces defeat French troops at Krefeld in Germany. Who were born on June 23?